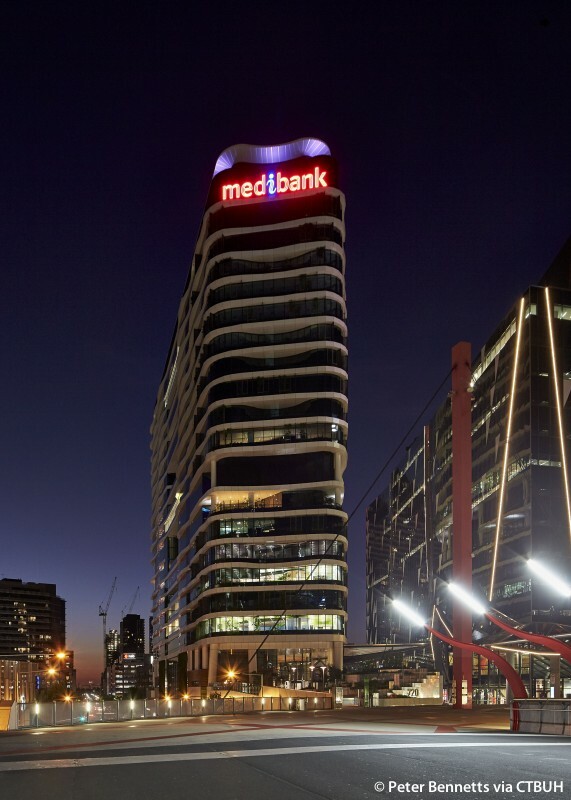 Located in Melbourne’s Docklands, Medibank Place / 720 Bourke Street was designed as the new headquarters of health insurance company Medibank. 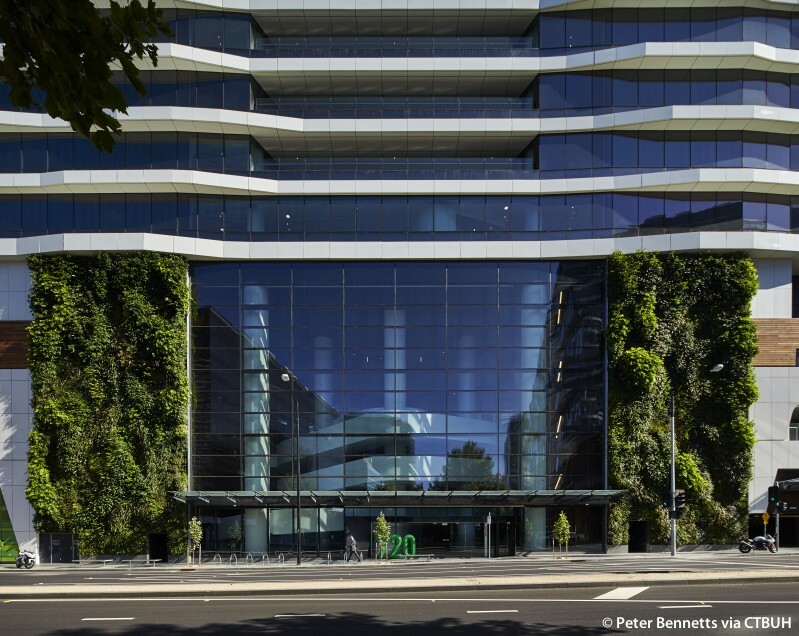 The company from the onset had an aspiration to promote this building as a healthy workplace and began the design process with a strong focus on connectivity and the maximization of daylight, greenery and the circulation of fresh air. 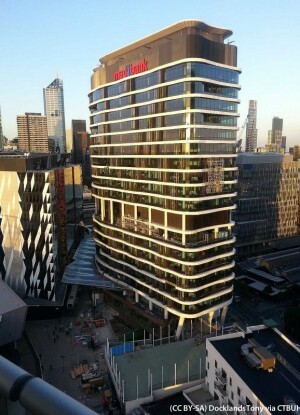 The center of the building has a large atrium allowing natural light to reach deep into the interior while stairways within the central void create common spaces and connectivity between the floors. 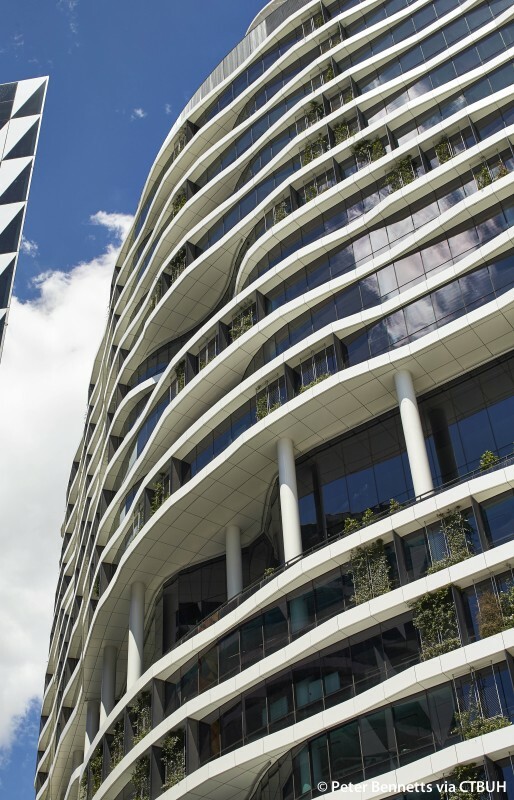 Workspaces were intentionally designed to offer a verity of environments from quiet spaces, to collective hubs to wifi-enabled balconies, all of which are intended to encourage activity based working as employees are free to select their workspace preferences. 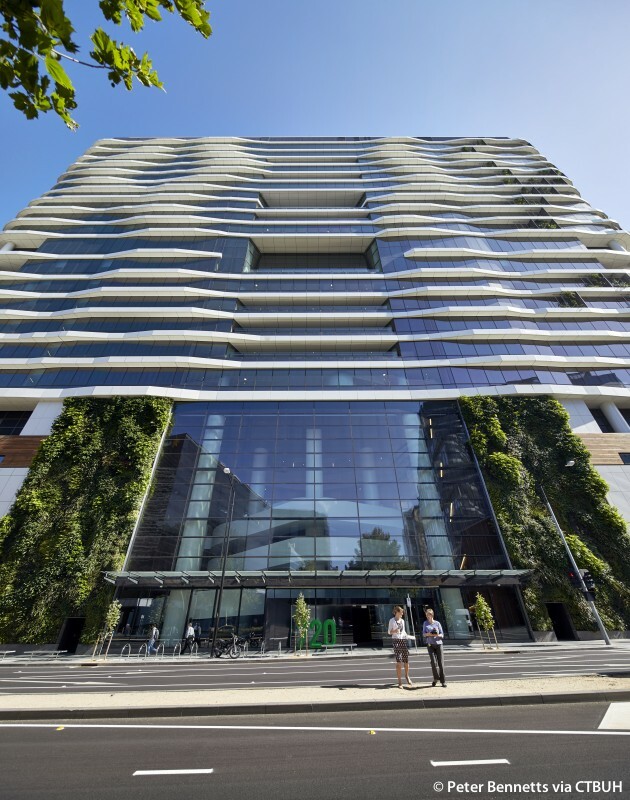 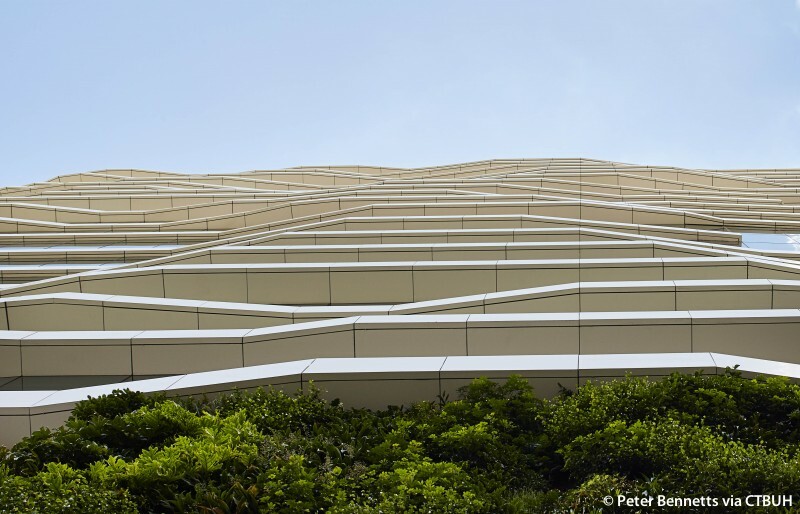 Greenery was positioned throughout the building, including 2300 plants inside, while the façade outside incorporates two 25 meter high green walls and 520 modular planter boxes covering 10 percent of the exterior with plants native to Australia. 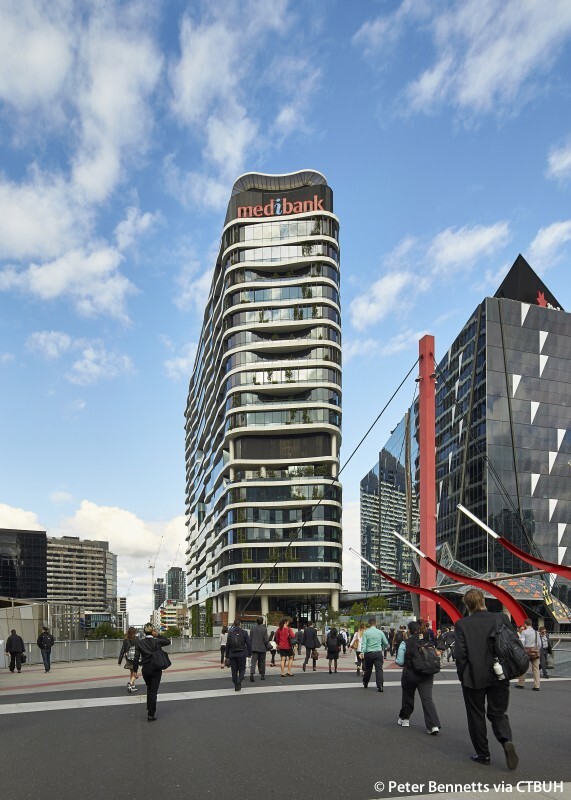 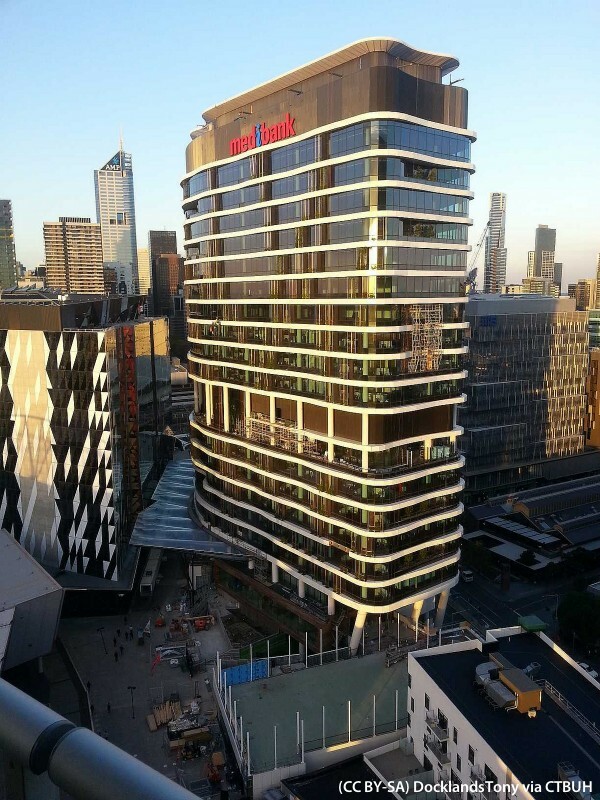 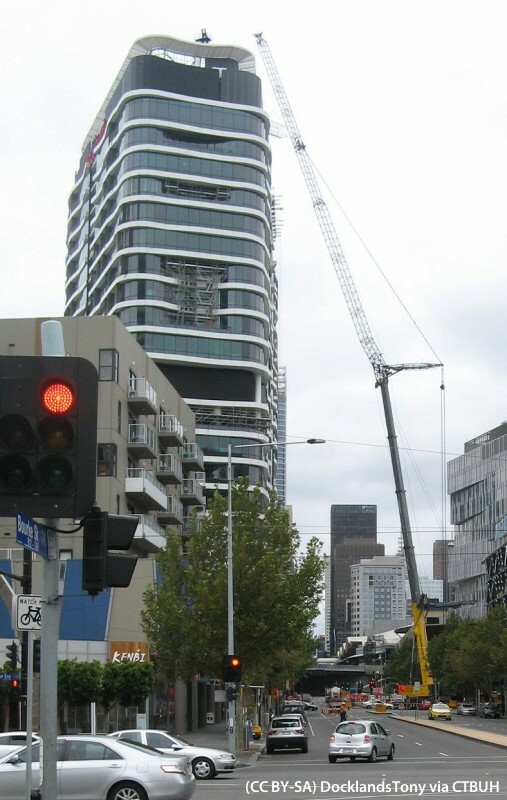 At the concourse level, a 1000 square meter public pocket park directly links Medibank Place / 720 Bourke Street with the adjacent Southern Cross train station at an elevation above street level. 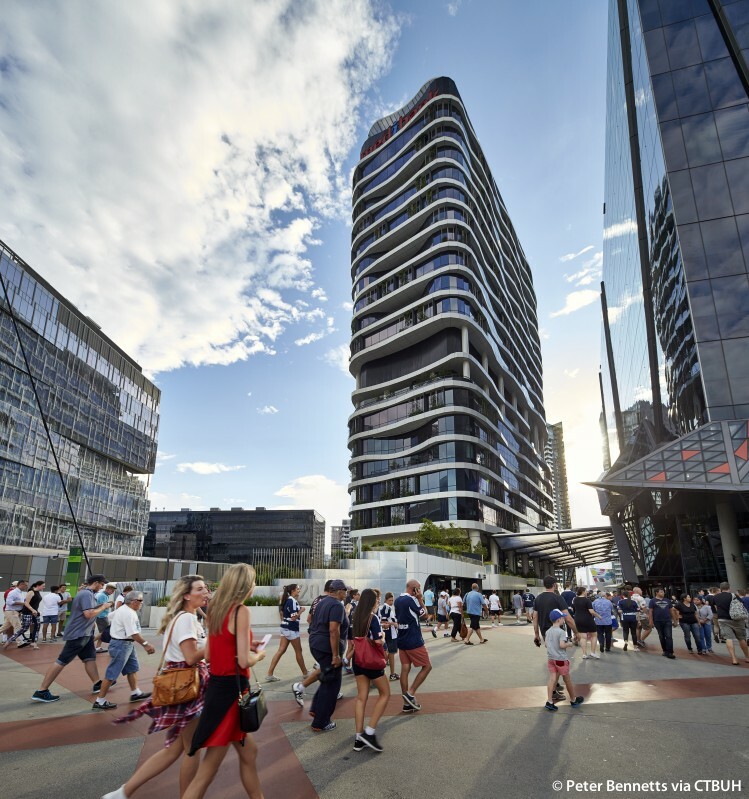 The inclusion of outdoor public space, along with an amphitheater, shops and cafes provides amenities for the local community while activating the base of the building and fostering a lively pedestrian environment within the neighborhood.